Relish Real Burgers have one restaurant in Potters Bar. Let's go back to the beginning of our journey. We are two families, Mario, Elena, Peter, Anna and our 4 kids that like nothing more than spending time around the dining room table enjoying each other’s company and good food. We’d been running a restaurant since 1999 and in 2014 we set ourselves a food challenge. To create the best burger! After many concoctions, some of which saw the bottom of our bin pretty fast, we came up with a winning beef patty. We even came up with great burgers which satisfied the fish lovers and the vegetarians in our family and amazing ribs. We used the best and freshest ingredients and kept our recipes simple. Finding the end of our challenge a bittersweet experience left us wanting more, so we had to keep going. It came to the point where we now had created enough burgers, that we loved , we wanted to share this with others. So there you have it. 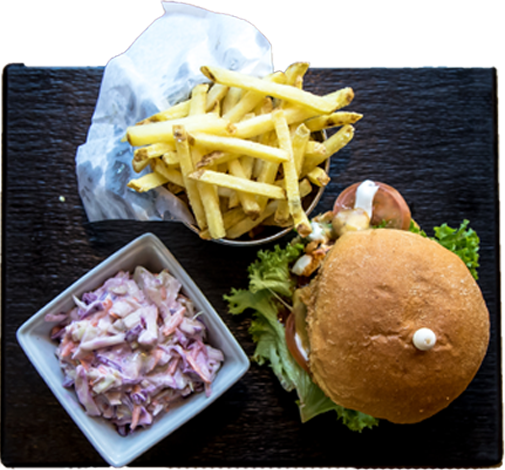 Relish Real Burgers was born in the heart of St Albans in 2014 and to spread the Relish experience further, we opened the second Relish restaurant in Potters Bar in 2016.